The past few weeks, a good portion of the Northern Hemisphere has been greeted by a fat sucker-punch of wind before their morning commute. This 'economy' character is like that nagging in-law who was supposed to pack up and leave your house a week ago and has just kinda stayed there, sitting in your favorite chair and eating the last of your mint Milanos. School started, books start to surround students and teachers like paper fortresses. Heck, we're stressed out just having written those last few sentences. Can we all just stop and breathe for a second? Actually, a full week or so of easy breathing might do a whole lot of good. Let's just put this out there: Stress is a demon. Get an exorcism. There's no reason to hold yourself back. Let Where I've Been run through some of the world's most relaxing destinations, where stress is an afterthought and the truly important questions are asked: "Red or white?" "Medium or well-done?" "Shaken or stirred?" In Eastern Europe, living in a spa resort is less about the vague concept of "relaxing;" true stress, to them, must be "healed." This may seem like some scary witch-doctor type behavior, but this is a philosophy they take very seriously, and you're best served letting them work their magic and basking in the spoils. Hungary is one of the handful of countries in the region rife with natural springs that harbor various minerals that soothe the skin; Budapest alone has about 120 recreational hot springs, giving it the nickname "Spa City." 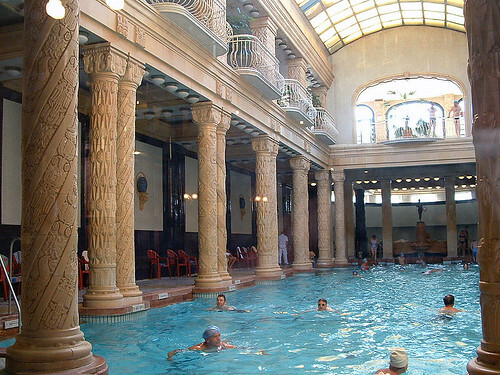 Perhaps most well-known is Gellert Bath and Hotel, offering 13 different baths and pools on their premises that are included in a hotel package. It's an affordable stay compared to similar-type resorts all over the world given Eastern Europe's lesser traffic and push for tourists; fly in to a cheap landing city in Europe like Dublin and take an EasyJet flight to Budapest and let a trade professional from a lineage of trade professionals (or thermal bath faerie witch doctors?) help you relax -- er, heal -- in a way you didn't know you could. The view from Route 1 along the California coast is enough to make your mind drift away into blissful nirvana (yeah, you should probably pull over first). But the Treebones Resort believes there is a proper way to experience the true character of the scenic Big Sur area, and they've thus synthesized a fine compromise between appreciating nature, practicing sustainability and still living a luxurious weekend. Each of their "yurts" -- that is, spacious, tent-like standalone cabins, are decked out with cozy beds and tasteful furnishings, all while stationed strategically for optimal views of the coast and star-gazing. Each yurt can stand to be visited by their massage expert, Linda, who specializes in a wide range of moves from Swedish to cranial to deep tissue. Upon sunrise, visitors flock to the world-class Wild Coast Restaurant, which is encased by a garden that not only plucked from and used in meals but also enriched with nutrients from kitchen scraps -- they've got the whole reduce, reuse, recycle thing down to a T. It's ideal for parents and singles who want all of the nature and beauty of a camping trip while still desiring those extra indulgences (and guilt-free, no less). And don't take it from us -- Michael Phillips, who recently won our $500 Mobile Giveaway, used his cash to become one of Treebones' newest proud patrons. Boat trips aren't the drawn-out, never-ending excursions you map out on a sheet of papyrus months in advance before presenting to the queen. You don't even have to take more than a few days off your work schedule to be the junior Magellan you'd always dreamt. 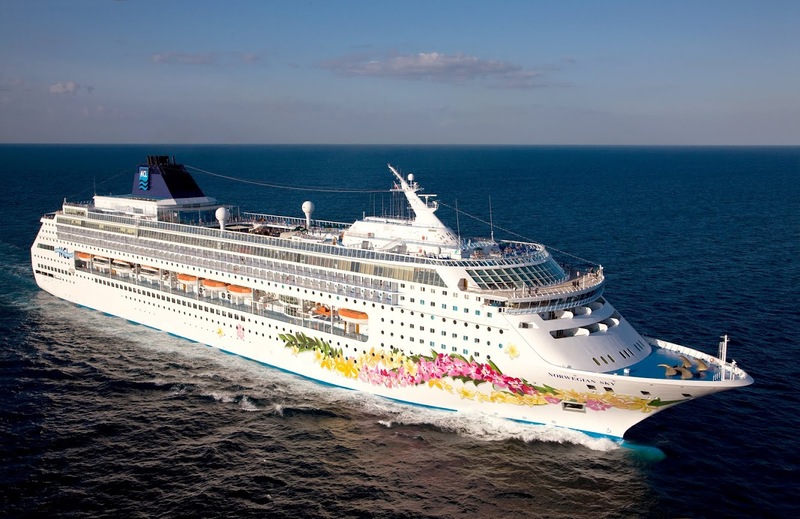 Cruise providers, such as the excellent Norwegian Cruise Lines, are making the four-day boat jaunt not only possible but affordable and simple, and their upcoming Bahamas getaways are the perfect excuse to gather your family and clear the mind. Sip a few boat drinks and watch as the hull of their Norwegian Sky liner cuts through the crystal Bahamian waters, the giant ship fresh from a $15 million renovation. Depending on your stress level, you can choose the tiers of your wildest pampering desires: Bachelors or bachelorettes can rest their bones in the penthouse, which is furnished deceptively like any of the finest luxury hotels -- until you remember you're on a BOAT. Families or big partiers will want to consider one of the many spacious and hip villas; whatever you choose, you'll be riding in style from Miami to Grand Bahama and Nassau, and NCL's commitment to quality ensures the load will be taken from your shoulders. Bed and breakfast seems like an ancient art, but sometimes it takes a quaint tradition to clear the cobwebs. But Summit Views, settled in the gorgeous Mornington Peninsula of Victoria, Australia, isn't exactly your classic mom-and-pop B&B joint -- all of the charm of the art is amplified to almost absurd proportions. Each luxury apartment is 300 meters high and constructed with 180-degree views of Arthur's Seat and the Melbourne skyline at your disposal on your personal balcony. Rooms are equipped with state-of-the-art televisions and king-size beds are laid out with the richest cashmere and goose down. They're light on the breakfast aspect, serving a simple bread-and-butter type deal, but by day you'll probably want to explore the scenery up close anyway. Stop by Port Philip Bay, the Peninsula Hot Springs or Arthur's Seat State Park and you'll be effectively unwound. Victoria is best experienced between November and April, so book accordingly.